We've been hosting a foreign exchange student for about a year now and have decided to keep her another year. After going back and forth with the natural family, it was decided that our Korean "daughter" would just stay with us for the summer (instead of flying home and back). Economically, it makes sense -- and with my own Little Miss home for a whole three months, I can use the extra pair of hands to help out. But it's pretty clear that the family back in Korea misses her. I wanted to do something nice for our exchange student's mum ("oma." in Korean) -- to let her know that she's being though of and that we appreciate the faith she has in my helping to raise her child. So, we decided to send oma a happy box. We picked out a pretty new blouse and to top it off, I wanted to send something handmade that mum would appreciate. After a bit of searching, I settled on a spa set. 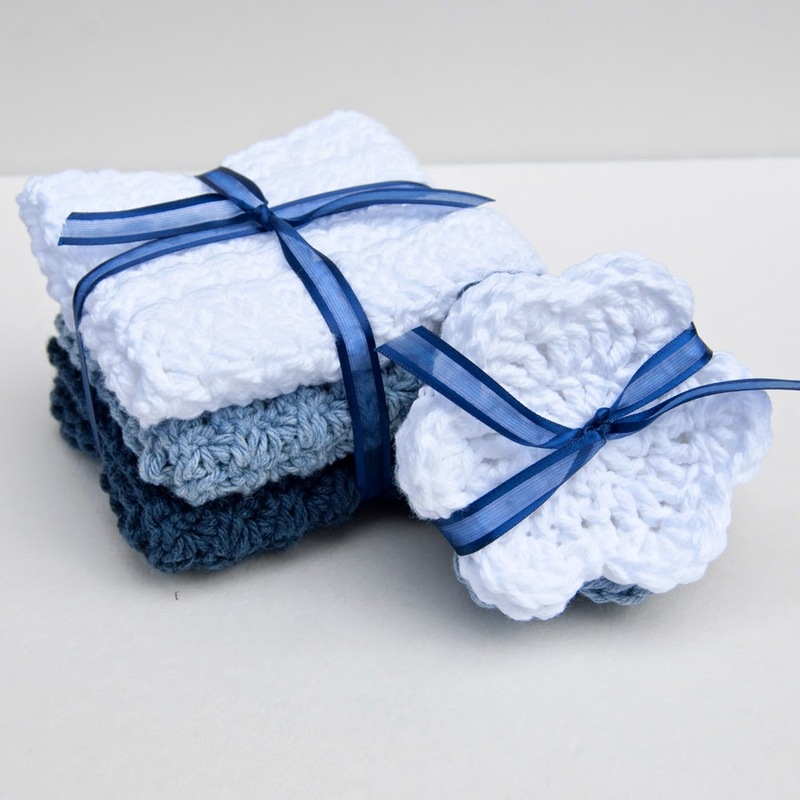 The wash cloth is a fan stitch pattern developed by RusticThreads on Etsy. I really loved the double-sided texture and they worked up super quick with about 75 yards of cotton yarn. With a little bow on top, they're the perfect gift! I decided to add a set of six make-up scrubbies for oma too. 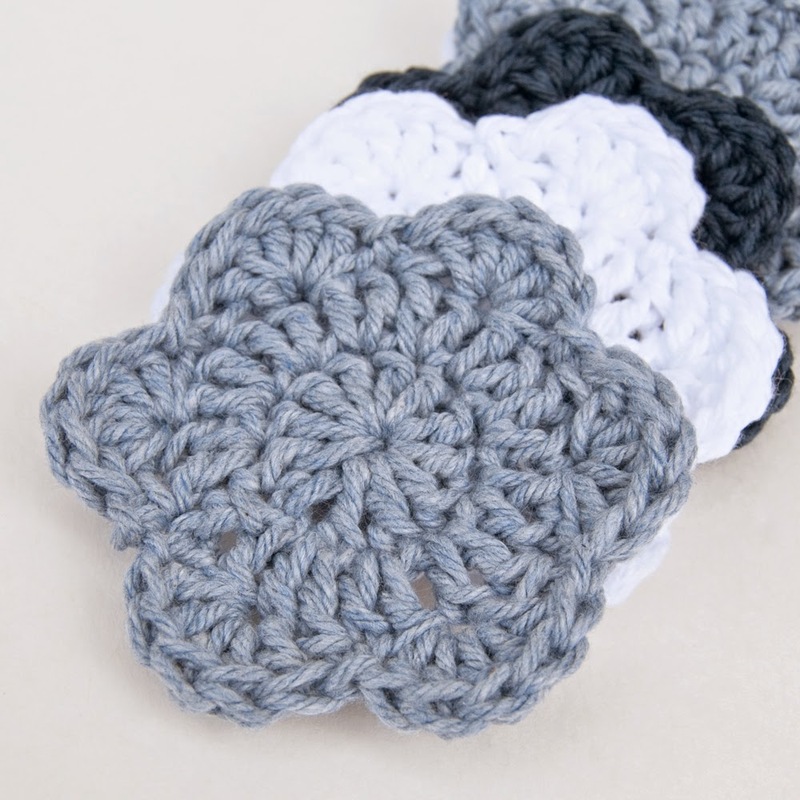 At first, I considered making plain round ones, but eventually found a free little flower pattern on the Diva Stitches crochet blog. If you check out the link, she even has a coordinating pouch pattern that looks super cute. All in all, I'm pretty pleased with how things came out -- and I'll definitely be stashing a few spa sets away for teacher gifts and whatnot. 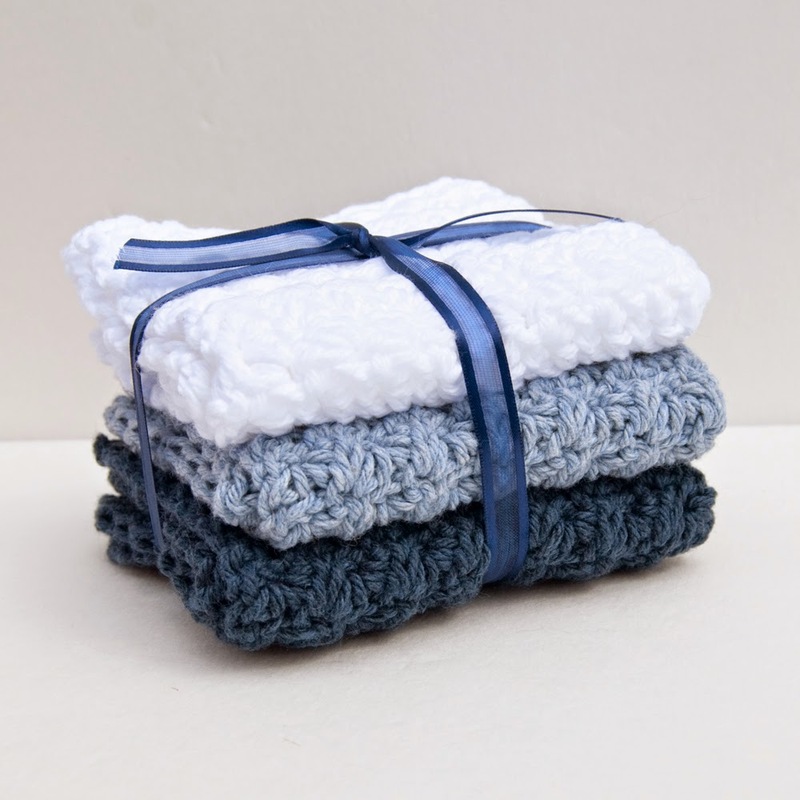 What's your favorite gift pattern?